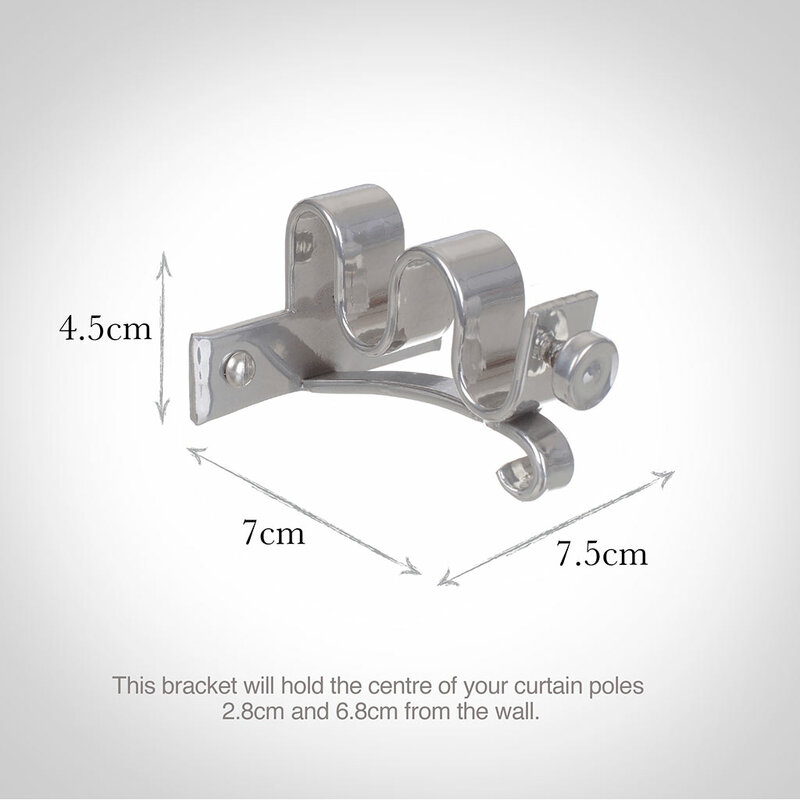 These hand forged, steel Double Pole Centre Brackets allow two 12mm classic poles to be used at the same window. This enables two curtains, or a curtain and blind, to be hung at the window. 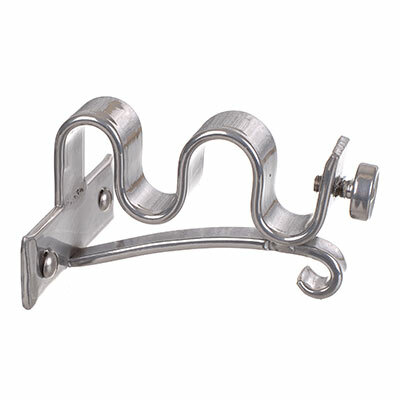 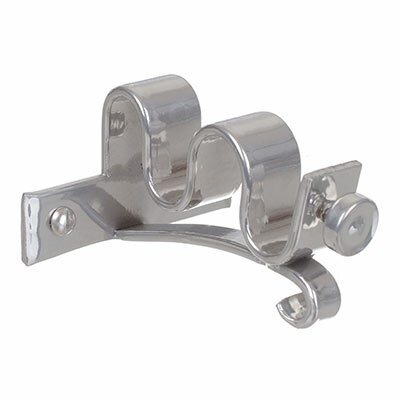 As the name suggests, the bracket is intended for use where a centre support is necessary. 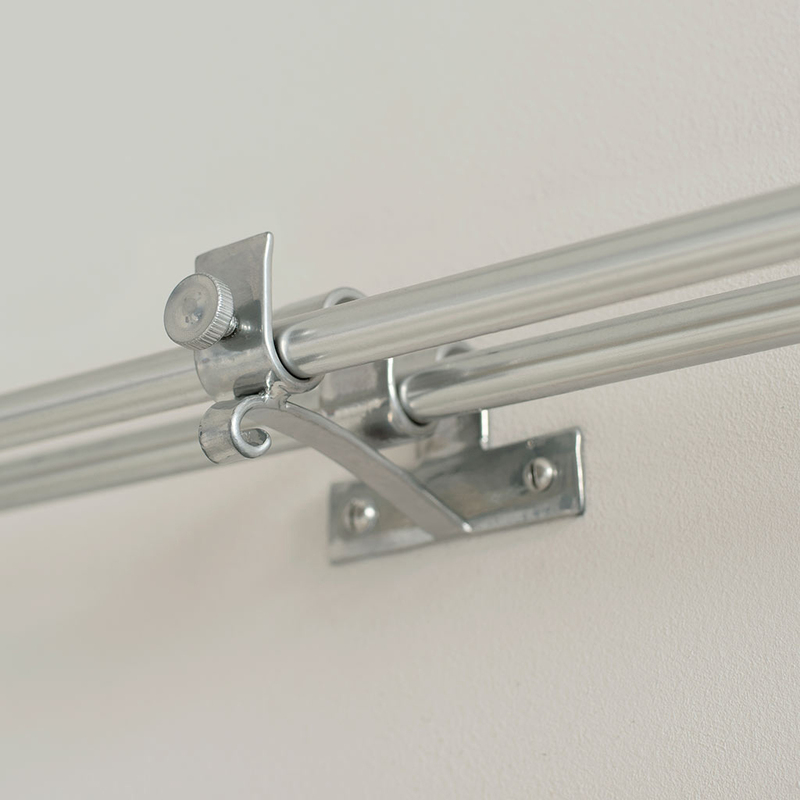 However it can also be used at the ends of the pole if there is insufficient space for a standard bracket. 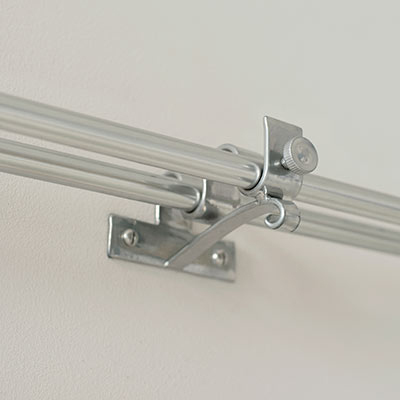 Depending on curtain weight, a centre support is likely to be needed on poles exceeding 2 metres in length.